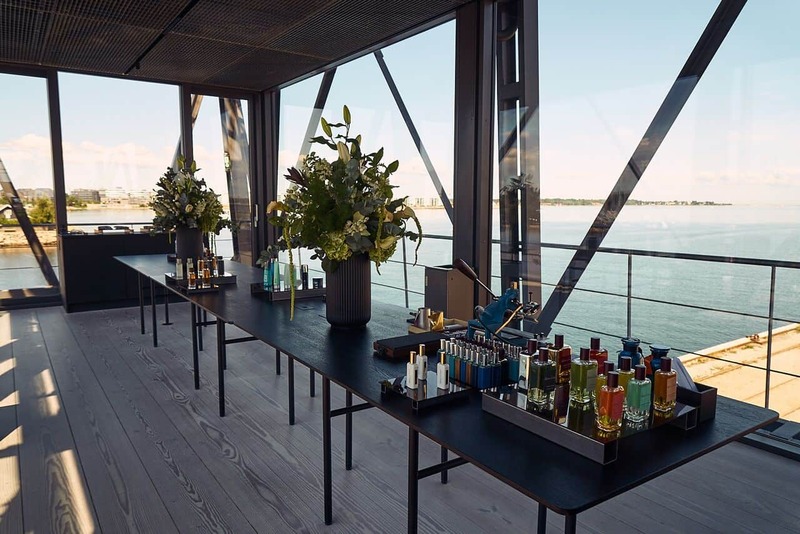 A former coal crane in Copenhagen now offers a unique and exclusive hotel, spa, meeting and event experience. 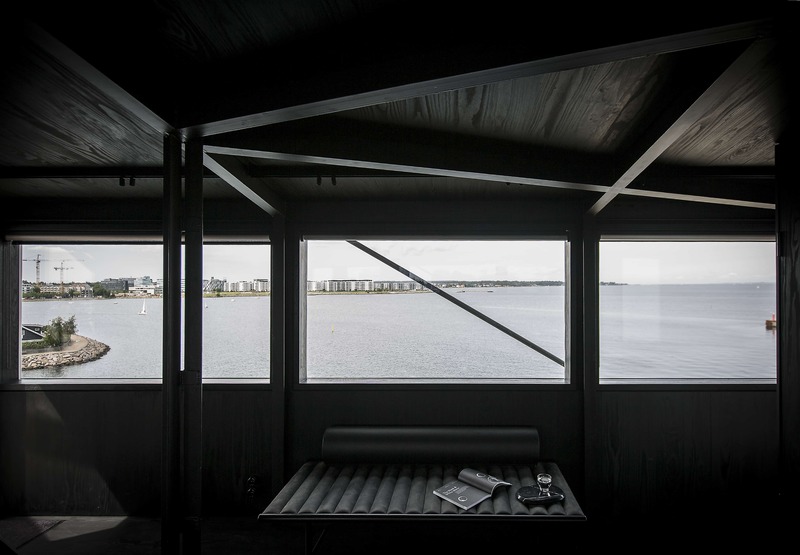 Visit THEKRANE and enjoy unconventional luxury and panoramic views to the sea, the sky, the harbour, and the city. 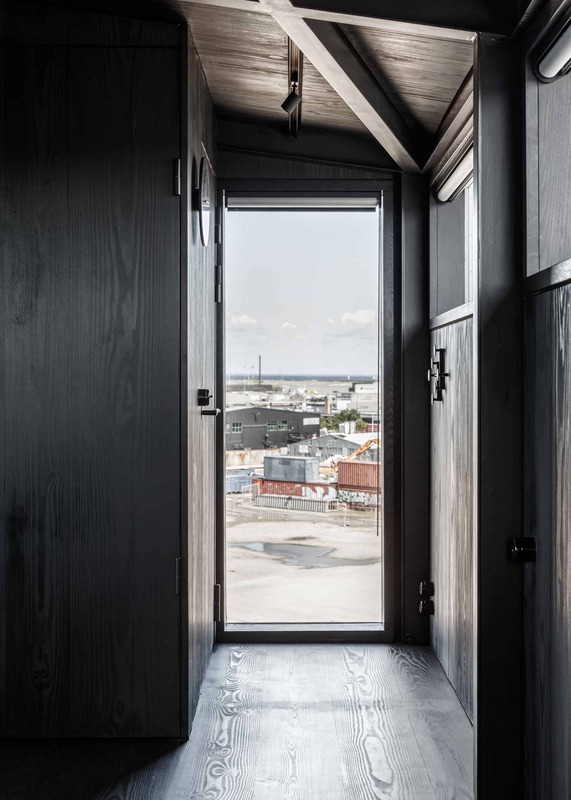 The intimate one-room hotel at THEKRANE is one of the most unconventional and exclusive hotel experiences that Copenhagen has to offer. 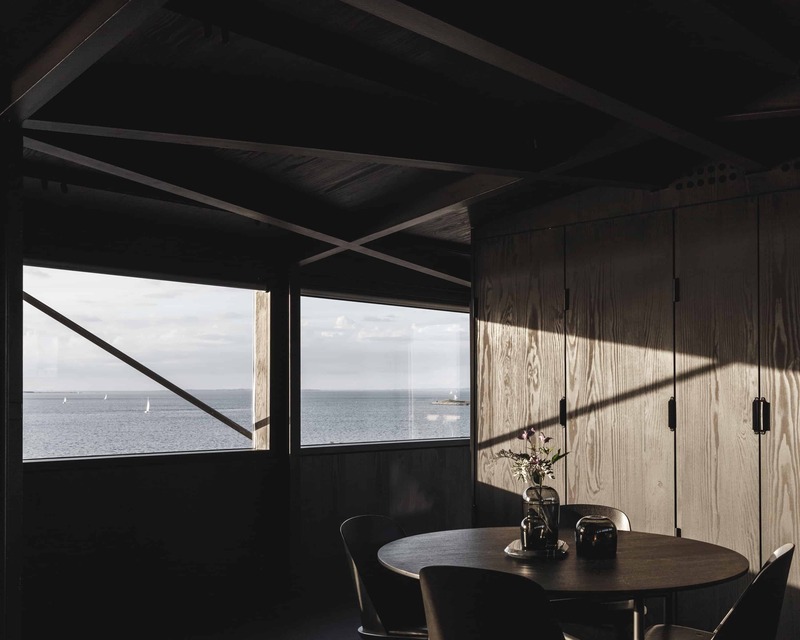 The room at the top of the crane, in the old engine room, has a modern, minimalist decor with beautiful and functional furniture of the best Danish design. The all black furniture and the black-painted wooden walls and wooden floors create a sense of intimacy and calm. 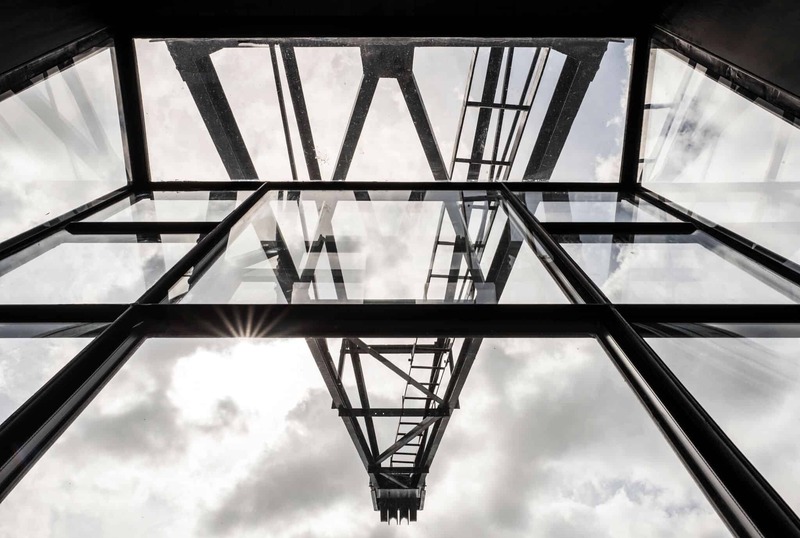 When you stay at THEKRANE, you also have exclusive access to two terraces in each direction for both sunrise and sunset views as well as a small lounge in the old crane operator compartment at the top of the crane. 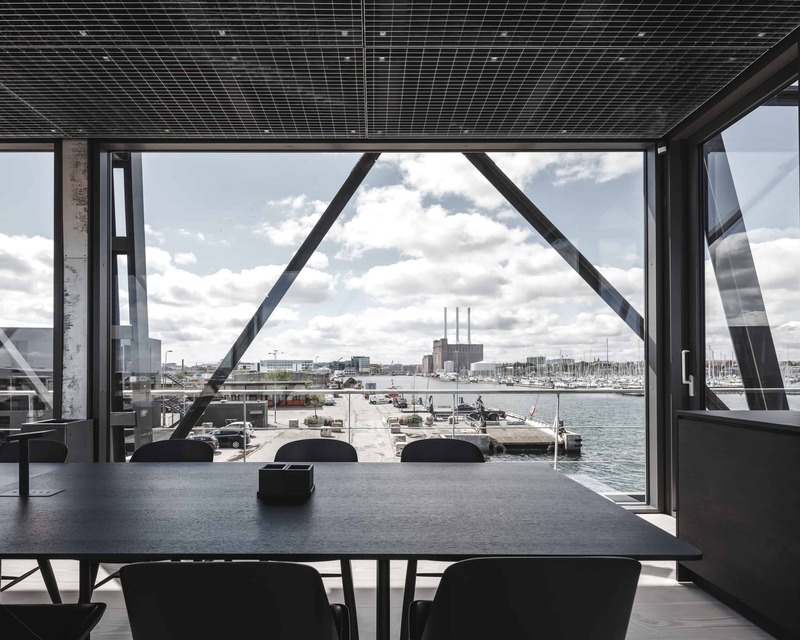 From both the room, the lounge, and the outdoor areas, you have an extraordinary view of the old industrial harbour of Nordhavn and of the sea. 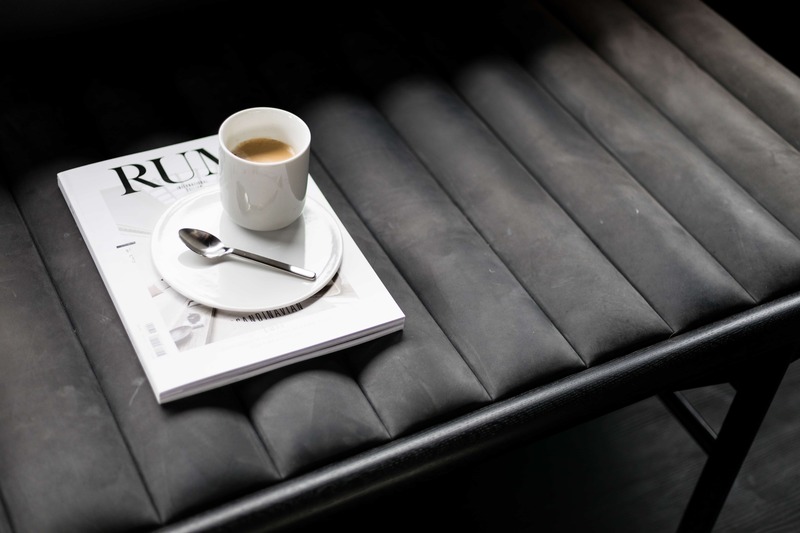 At THEKRANE, we have planned your stay down to the very last detail, starting from your arrival at the airport. A concierge will meet you and drive you in your BMW car to THEKRANE, show you around, and bring breakfast to your room every morning. A stay in THEKRANE is a unique experience. 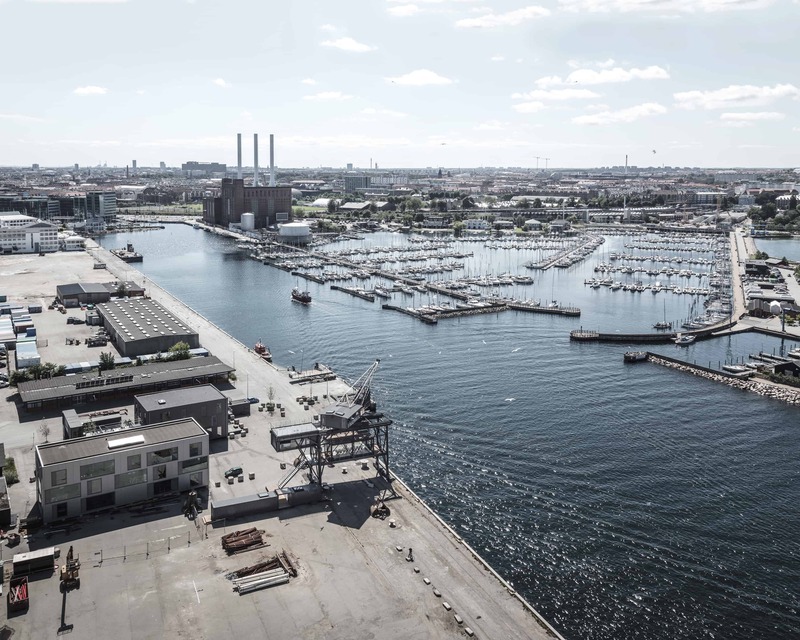 You will be at the meeting point of the historical industrial harbour of Copenhagen and the vibrant new parts of Nordhavn, which are in constant change. THEKRANE is a completely new and innovative take on a private retreat – where you are the only guests. - A concierge who picks you up at the airport and helps you with anything you need during your stay. - Breakfast every day that you can enjoy in your room or in the lounge overlooking the sea. - A THEKRANE BMW, which you can use to explore Copenhagen. - THEKRANE bikes if you want to travel around the city like a typical Copenhagener. - A special selection of wine and bubbles to top off the perfect evening. - Access to the spa after 5 PM. Let your most important meetings take place in a room that inspires thought, calmness, dialogue, and confidentiality. 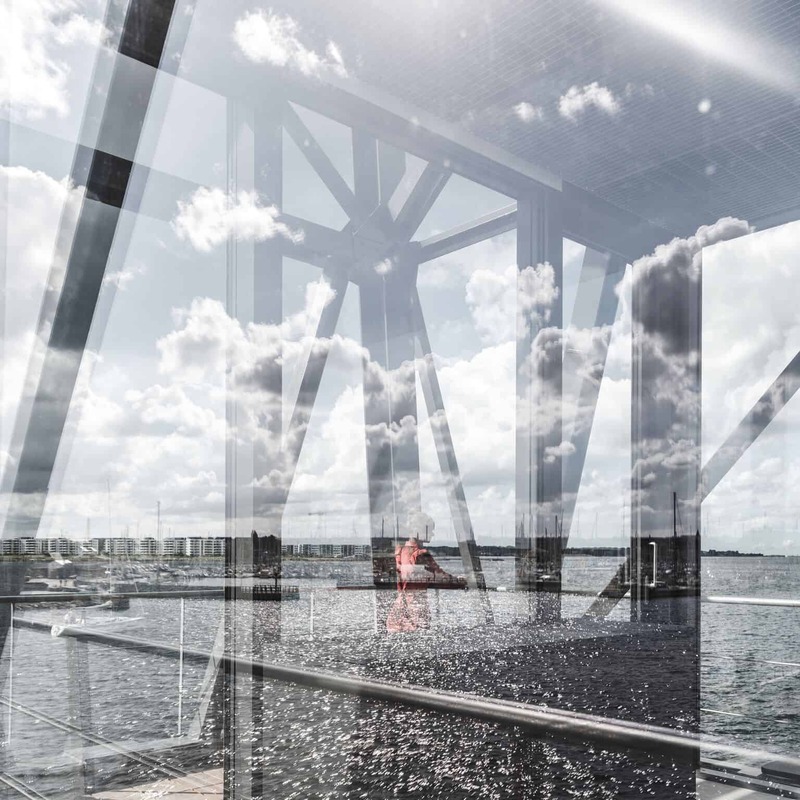 You arrive through the impressive industrial steel structure at the edge of the harbour. 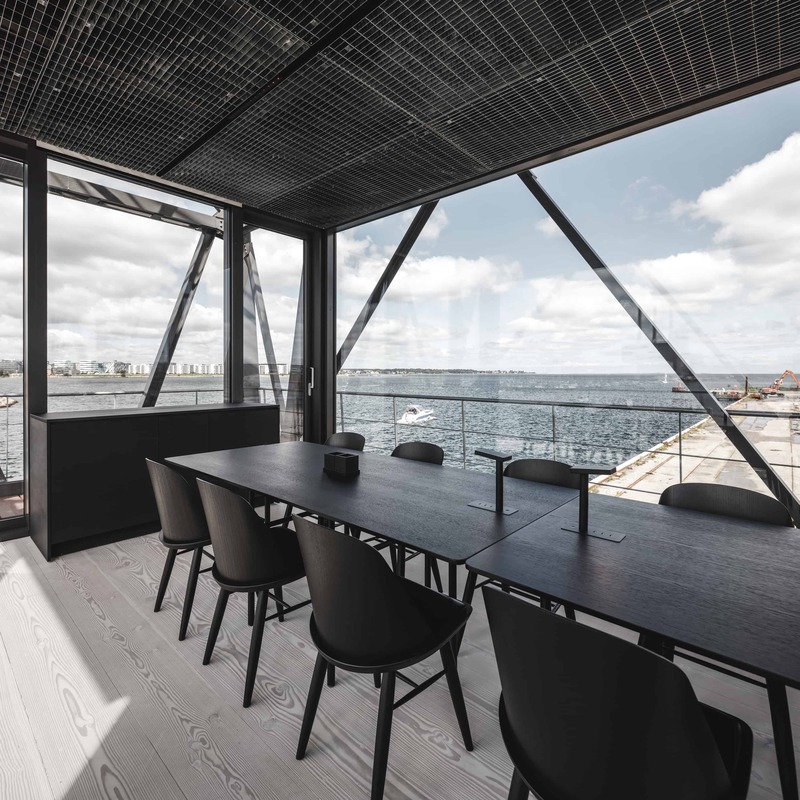 Inside your meeting room at the top of the crane – in the former engine room – the Danish design, and the black-painted wood on the floor and ceiling contribute to the calm and intimate surroundings. THEKRANEROOM MEET is the obvious place to meet to make important decisions together. - amenities: Wi-Fi, flat screen TV, air conditioning, heating, coffee machine, and apple TV. The large meeting room in THEKRANE could not be further from the typical hotel conference room. 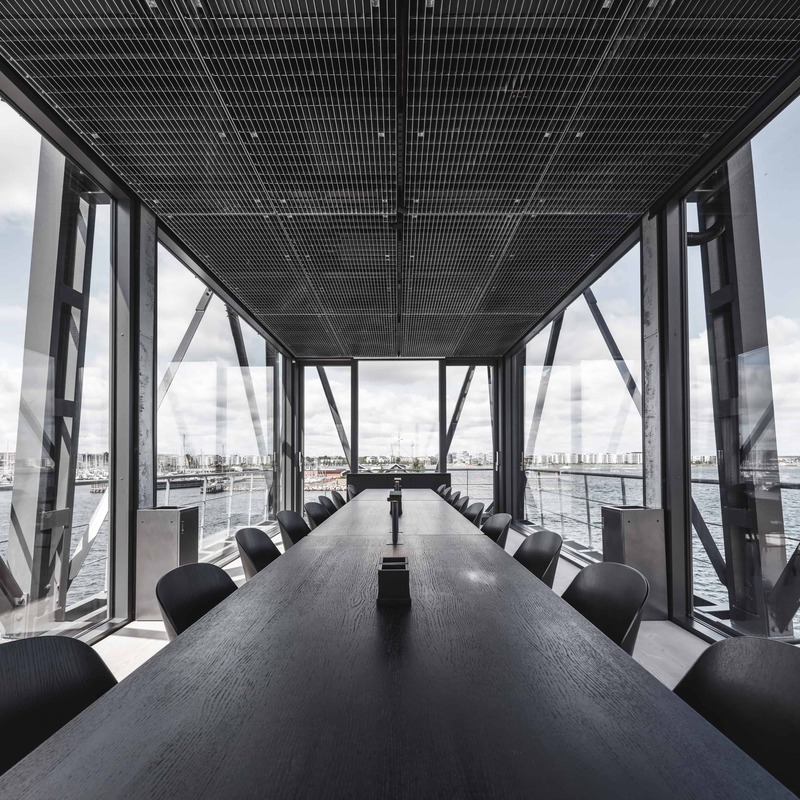 The meeting room at THEKRANE is at the same time rough in its exposed steel structure and flawlessly stylish. All the essential amenities are discreetly integrated in the room and the furniture, so that the room appears minimalist and calm. The amazing view of the water helps to clear your mind and to kickstart the creativity of your group. The large floor-to-ceiling windows on all sides provide visibility, transparency, light, and an impressive 360-degree panoramic view. During breaks, you can continue the conversation outside on the terrace and enjoy some of the fresh sea air. - a 40 m2 meeting room for up to 20 people. - amenities: Wi-Fi, flat screen TV, air conditioning, heating, coffee machine, blinds, projector, apple TV. In contrast to the dramatic black interior of THEKRANEROOM at the top of the crane, the spa below has a lighter look. 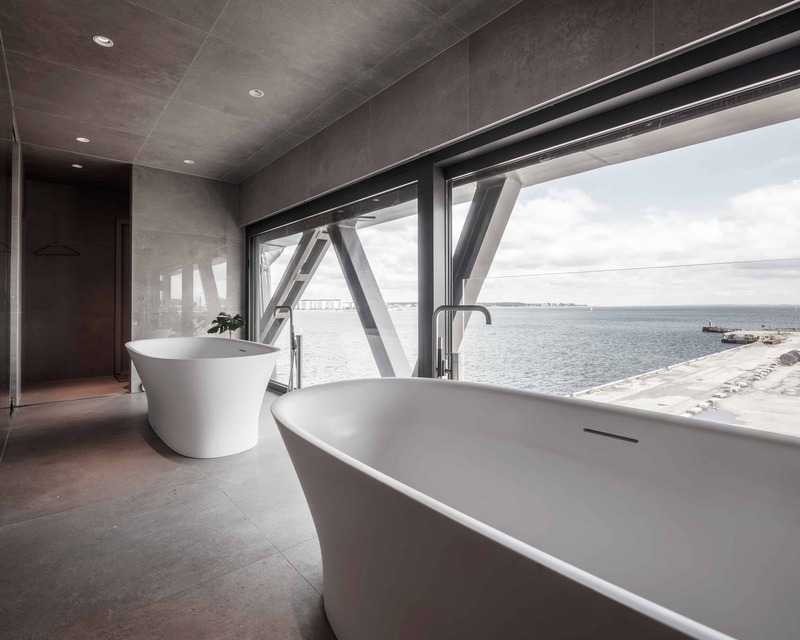 The room is decorated with light stone from floor to ceiling and has a huge glass wall as a window on one side overlooking the harbour and the sea. Climb into one of the two spa tubs, and enjoy the view and a sense of well-being in this interplay between sea, sky, body, and soul. After one of the treatments, you can sit in the swing on the terrace by the gas fireplace and enjoy the view and the amazing industrial steel structure of the old coal crane. 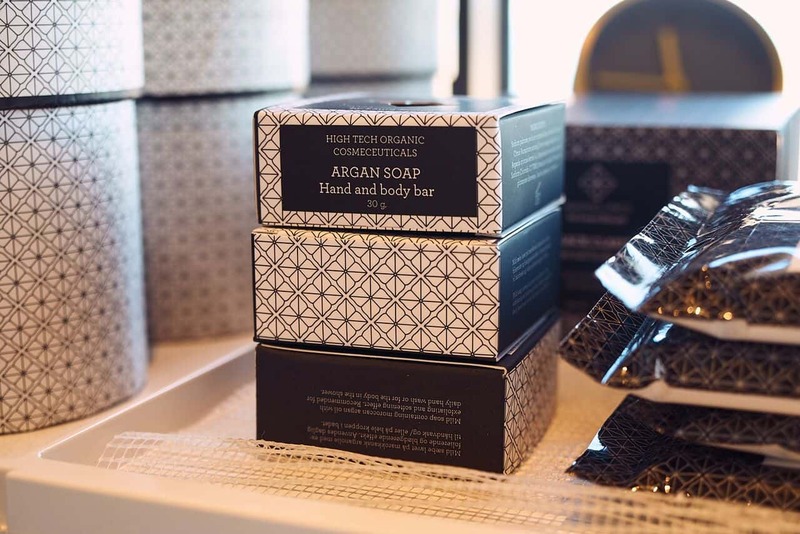 The spa is run by Amazing Space from Hotel d'Angleterre, who offers a large range of sensory experiences and custom-made products. If you are planning an event that needs to be out of the ordinary, THEKRANE is the perfect venue. You will have access to sunrise and sunset terraces, Bang & Olufsen technology, and a truly spectacular 360-degree views of the sea, the sky, the harbour, and the city – the perfect setting for photo shoots, weddings, and dinner parties. 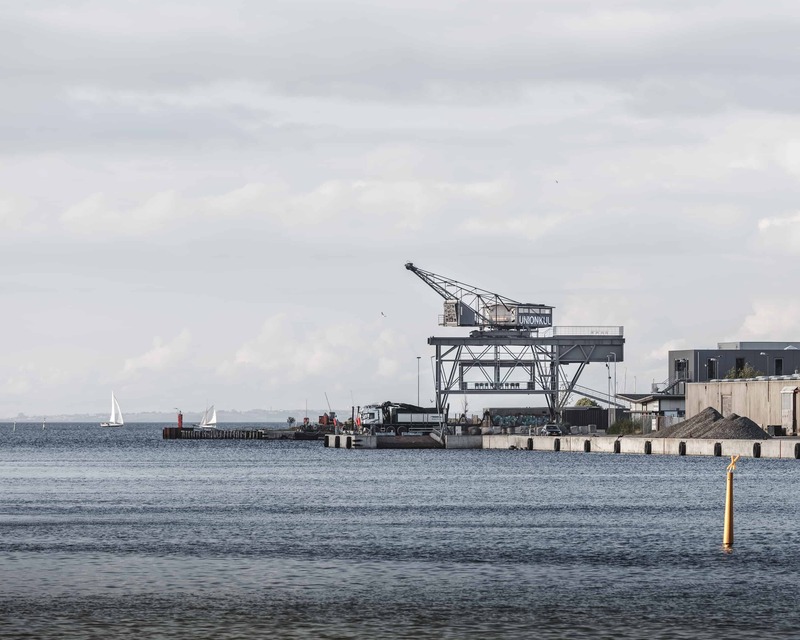 On one side of the crane, you can see the marina of Svanemøllen, the yachts, the kayaks, and the sea. 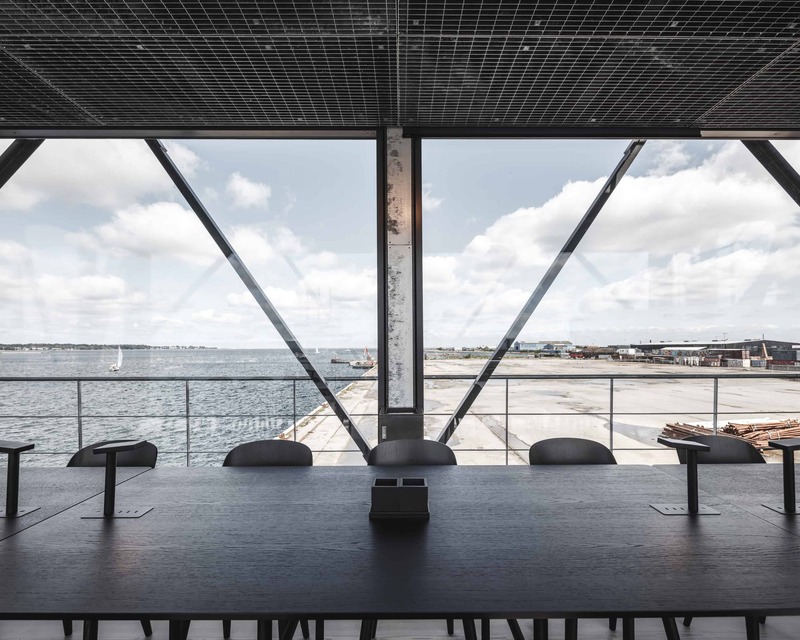 On the other side, you have a view of the active container port and all of the new neighbourhood in Nordhavn, which is constantly changing – with the rest of Copenhagen's skyline as a backdrop.